Before we jump into identifying a bad or broken spring and the consequent garage door repair services that you will need if you find one, let’s talk about garage door springs. 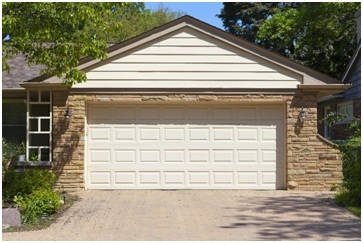 Are they really that important to the function of your garage door? Will you even notice if one breaks? 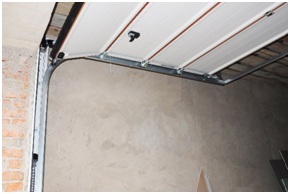 Torsion springs are installed horizontally above the garage door and connected to each corner of the door by a cable system. This is the most popular type of spring used for garage door systems. When you open your garage door, the spring unwinds releasing stored energy and transferring it to the cables which pull on the corners of the door. The pulling action of the cables provided by the energy stored in the spring is what lifts the garage door up. When you close your garage door the cables attached to the corners of the door now pull against the spring as the door moves downwards. This pulling action winds up the spring, storing energy for the next time you want to open the door. 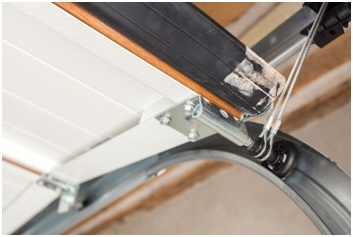 As you can see, springs play a crucial role in opening and closing your garage door. 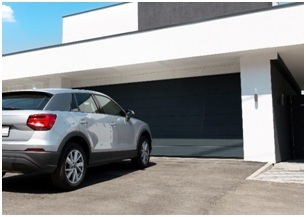 In fact, with a broken spring, your garage door would cease to function at all, which is why it is vital that you know how to look for broken or failing springs so that you can take the necessary measures to keep your garage door working at peak performance. 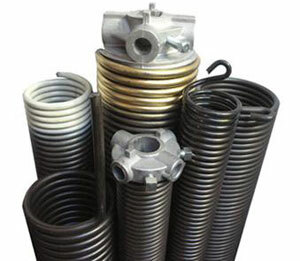 There are various things you can look for when you are trying to identify damaged or faulty springs. When you look above the garage door, the torsion spring should be continuous. If you observe any discontinuity in the spring, it means that it has snapped. A snapped spring can be very dangerous, and professionals recommended that you do not attempt to replace it yourself. 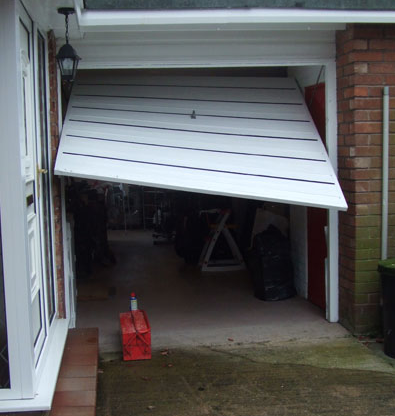 At this point, we advise that you contact your nearest garage door repair company. 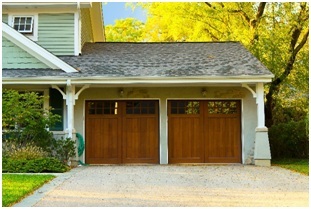 If your garage door simply won't open or close you probably have an issue with the opening and closing mechanism. While a broken spring can cause problems with this mechanism, there are other complications which can also prevent it from functioning. 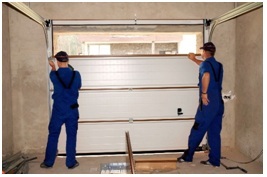 The best way to narrow down the problem is to have a garage door repair company investigate the situation. As we mentioned earlier, the cables which pull the garage door up and down are directly connected to the torsion spring. If the torsion spring is broken, the attached cables will appear to lose or out of place. 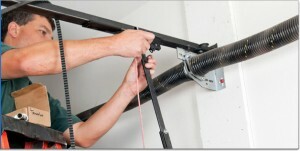 Additionally, if you find any cables lying on the garage floor or disconnected from your garage door, you most likely have a broken torsion spring. The energy stored in a torsion spring greatly reduces the effort needed to lift the door. If you are unsure if you have a broken spring, you can try to open your garage door manually. If the door feels very heavy and almost impossible to lift, it means that the spring is not providing any assistive energy and is probably broken. 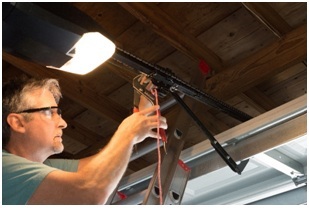 While your garage door opener motor does some of the work to raise your garage door, it requires the elastic energy stored in the torsion spring to assist it to lift the garage door all the way to the open position. 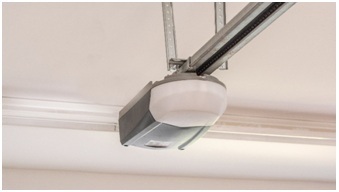 Additionally, garage door openers are equipped with force sensors that automatically shut down the motor when the force exceeds a set limit. 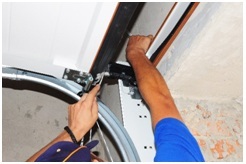 Without the assistance of the torsion spring, the garage door opener cannot fully lift the weight of the garage door. If you notice that your garage door starts opening and then suddenly stops, the torsion spring may be damaged, triggering the force sensor to shut down the opener motor. In the wound-up position, a torsion spring holds a lot of energy. When a torsion spring snaps, it does so very suddenly produce a loud, disturbing sound. After the sound of the snapping torsion spring, you will hear a rattling sound as the shaft connecting the garage door to the rollers starts rolling rapidly. The shaft rolls of its own accord because the spring that was keeping it in place has snapped. There are many ways you can identify a broken garage door spring. 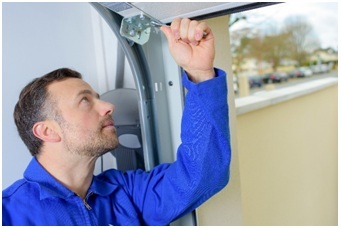 If you observe that your garage door is malfunctioning in any of the ways that we have listed above, please contact a Miramar garage door service today for assistance and repair of your garage door.